This week-end I hosted a cheese & code session in the country-side of Angers, France. We were a bunch of python hackers and it rained a lot, wich forced us to stay inside and to code. Bad. We were not enough to get rid of all the cheese and the awesome meals, but well, we finally managed it pretty well. Daybed started some time ago, and intend to be a replacement to google forms, in term of features, but backed as a REST web service, in python, and open source. 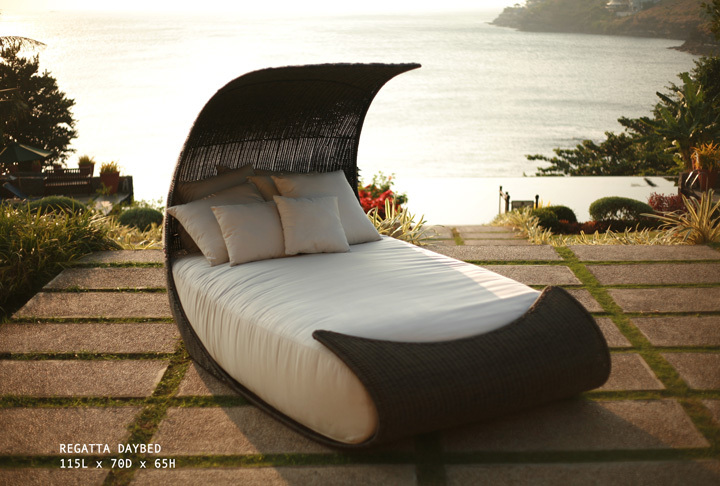 In case you wonder, daybed is effectively the name of a couch. We chose this name because of the similarities (in the sound) with db, and because we're using CouchDB as a backend. We mainly hacked on daybed and are pretty close to the release of the first version, meaning that we have something working. The code is available on github, and we also wrote a small documentation for it. Mainly, we did a lot of cleanup, rewrote a bunch of tests so that it would be easier to continue to work on the project, and implemented some minor features. I'm pretty confidend that we now have really good basis for this project. Once we have something good enough, we'll release the first version and I'll host it somewhere so that people can play with it. Daybed is built on top of Cornice, a framework to ease the creation of web-services. At Pycon France, we had the opportunity to attend a good presentation about SPORE. SPORE is a way to describe your REST web services, as WSDL is for WS-* services. This allows to ease the creation of generic SPORE clients, which are able to consume any REST API with a SPORE endpoint. And you'll get a definition of your service, in SPORE, available at /spore . Of course, you can use it to do other things, like generating the file locally and exporting it wherever it makes sense to you, etc. I released today Cornice 0.11, which adds into other things the support for SPORE, plus some other fixes we found on our way. Once you have the description of the service, you can do generic clients consuming them! We first wanted to contribute to spyre but it was written in a way that wasn't supporting to POST data, and they were using their own stack to handle HTTP. A lot of code that already exists in other libraries. While waiting the train with Rémy, we hacked something together, named "Respire", a thin layer on top of the awesome Requests library. We have a first version, feel free to have a look at it and provide enhancements if you feel like it. We're still hacking on it so it may break (for the better), but that had been working pretty well for us so far. ...            "description": "is it done or not"
Finally, we were out of cheese so everyone headed back to their respective houses and cities. Vous pouvez également télécharger cet article en pdf.